Experience the power of diesel! Our Cummins 4BT Engines are the best in the business. Whether you are looking to power small industrial equipment or are looking to upgrade to diesel through a 4BT Jeep Swap we will get you up and running. The Cummins 4BT Engine is a workhorse in its own right offering torque when you need it and the durability to run at full load for long periods of time. We offer two types of new Cummins 4BT Engines: Longblocks and Complete Engines. 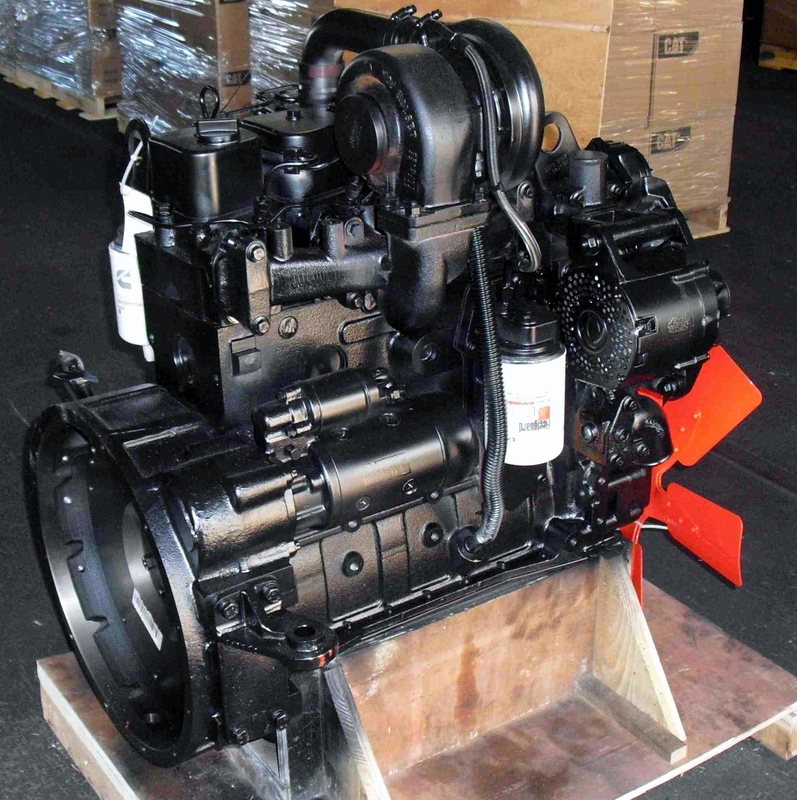 Cummins 4BT Engines are primarily used in industrial applications. The engine was primarily installed in step vans and “bread trucks” for hauling cargo around cities. 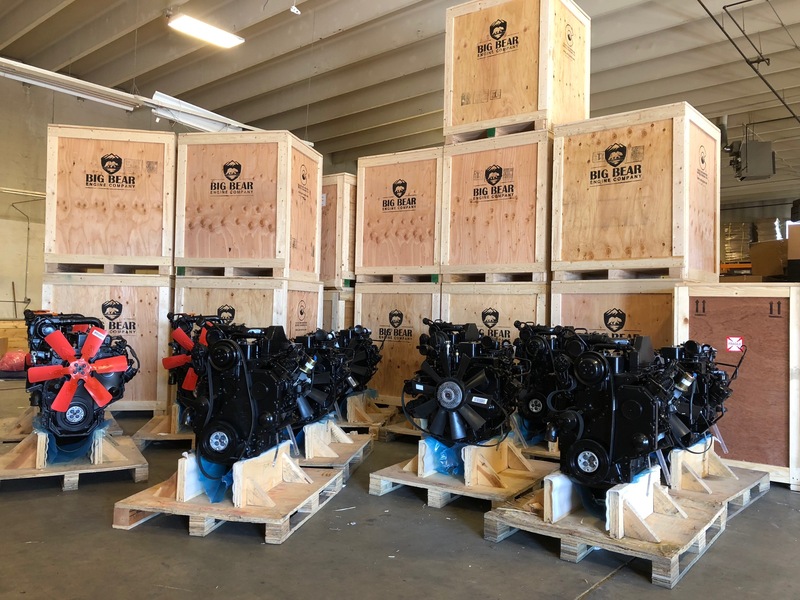 4BT engines are also very popular in skid steers, loaders, dozers, forklifts, manlifts, wood chippers, RVs, shuttle vans, pumps, generators, street sweepers and baggage carts. Some Cummins 4BT engines are also in use in small boats and bilge pumps but mainly use in over the road vehicles. The off-roading community has taken quite a liking to the Cummins 4BT engine; known primarily as 4BT Jeep Swaps. The engine won’t win any races as the maximum horsepower is only 105 hp at 2,300 rpm however the engine is extremely popular when it comes to the torque ratio. The standard 4BT will produce 265 lb-ft of torque at 1,600 rpm however common upgrades can increase the torque ratio to well over 750 lb-ft of torque. That is a lot of torque at the wheels; perfect for traversing steep inclines or hugging the edge of a trail. There is a whole community over at 4BTSwaps.com that focuses on all the info you will ever need to swap a diesel engine into a off-road vehicle. Cummins 4BT engines are also easy to maintain, simple in design and can get upwards of 30-40 mpg with performance upgrades. The 4BT is the most popular diesel engine swap for off-roading because it is simple to upgrade the turbo, camshaft, injectors and fuel pumps in addition to being the biggest diesel engine that will easily fit into a Jeep or 4Runner. A Cummins 6BT will simply be too large. 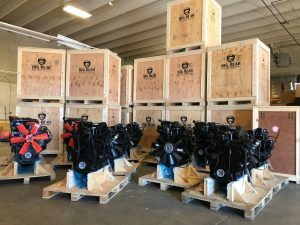 Note, Crate engine packages are sold as extended long block replacement units for use in existing industrial and automotive applications. Intended use of the extended long block package is meant to replace worn or defective existing internal gear train engine components. Bellhousing, fuel systems and electrical parts are included in the engine package and are intended for individual one off parts replacement of existing worn engine components from the customer’s existing engine. If extended long block packages are swapped into an off road utility vehicle or marine application it is up to the customer to check for local, state and federal regulations in reference to emissions compliance and legal permitting. 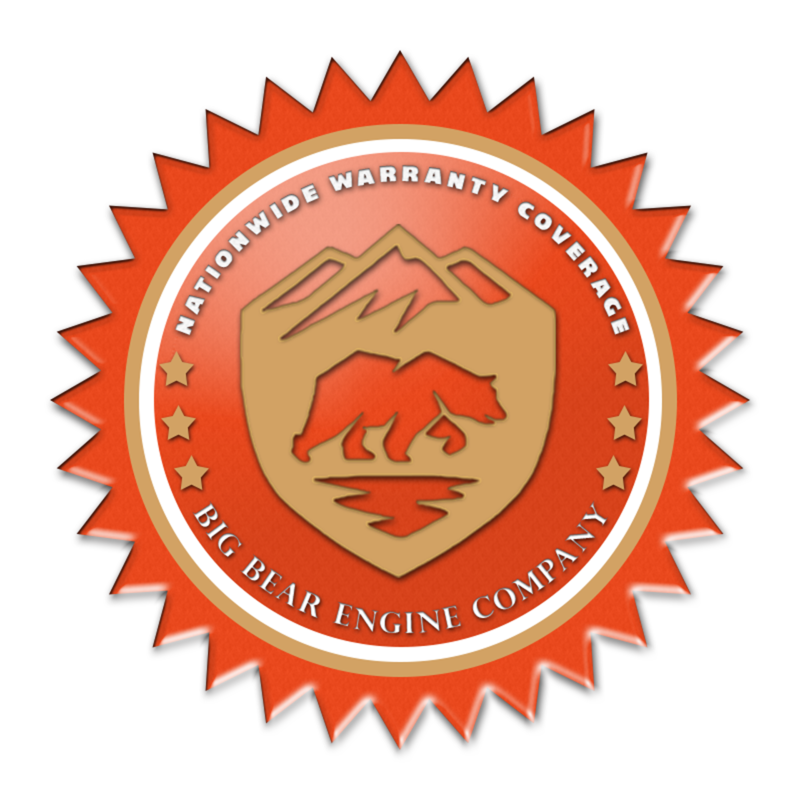 Big Bear Engine Company is not responsible for any non intended use of extended long block packages. Each state and even local counties have widely different regulations (Classic Cars, Rat Rods, Rock Crawling Vehicles etc...) so it is always best to do your homework beforehand. Bore x Stroke 4.02" x 4.72"